Spousal Support Attorney Dallas | The Ashmore Law Firm, P.C. Spousal support, also known as alimony, is a legal obligation ordered by the court for a person to provide financial support to their spouse before or after separation or divorce. 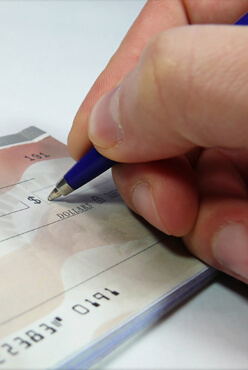 To receive spousal support there are some criteria that have to be met in order to qualify and it is to the court’s discretion as to whether or not spousal support will be awarded. There are cases in which spousal support is awarded temporarily, especially if one spouse has limited or no income. If you want to receive spousal support, you are going to have to prove that you need it, plus you will have to show that your spouse has the resources to pay. If you are awarded spousal support the amount cannot exceed 20% of your ex’s gross income. The only exception is if spousal support was awarded because of a disability or mental illness, which could entitle you to support indefinitely. It is uncommon to receive a large sum after the divorce is granted. However, the court will consider joint requests, a spouse’s ability to pay spousal support, either spouse’s ability to work, health, education, age and length of the marriage among other criteria, like a spouse’s misconduct during the marriage. For more information, request a copy of our free book about Divorce in Texas.